This week I’m inspired by women who bravely create a home that is beautiful to them. I do not care if someone’s home is in style, out of style, magazine or photo worthy, old or new, farmhouse or English cottage, colorful or neutral or somewhere in the middle. 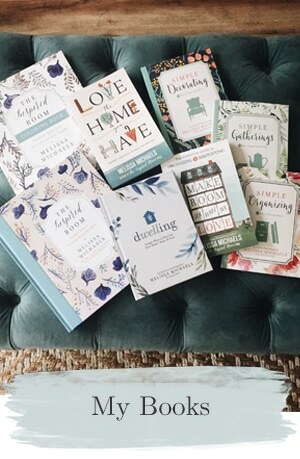 I love the idea of the beautiful life and spirit behind the decorating even more than I care about the design perfection of the room. It is fun to be inspired by photos and ideas, but in the end, most of us have to work around our own limitations and budgets and priorities in life. What we come up with might not be everyone’s IDEAL style, but who cares? Honestly, our homes might not even be our own version of IDEAL, but they are what we have and we need to find contentment with that. Who thinks so highly of themselves and their taste that they feel they can judge what is beautiful or not beautiful for someone else? Let me tell you something. Come a little closer. Do not listen to that kind of talk. 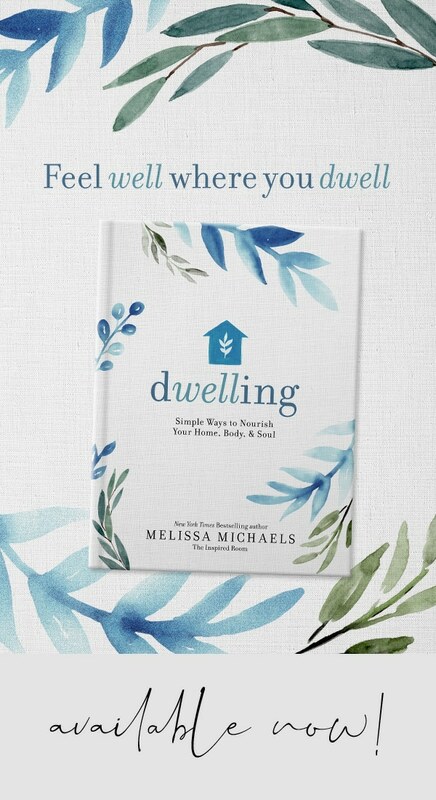 Your home is a place where you need to feel at peace. You need to feel a sense of accomplishment and pride in your home. You deserve to look at your home and see the beauty of living in it, not be worried that other people might be judging you for not knowing that such and such a fabric went out 20 years ago or this wood or that wood is not in, or this idea or that idea is so passe. Who makes those rules? And WHO CARES what those people think any way? I was reading a series of wonderful, heart and soul filled articles this week by a sweet lady, Donna at Funky Junk Interiors. She shared about a mysterious illness that she has quietly and bravely dealt with for the past year or so. She shared the story of how she began to create beauty out of “junk” for her home. And let me tell you, she has such a creative eye for beauty where I just might see a pile of old wood! But what really caught my attention is that she found her style basically out of necessity. She had little to no funds and an illness that kept her housebound. As a healing process, she began creating beauty out of what she had. She brought beauty to her surroundings out of what others might view as “junk.” She has created a style all her own. When I read about someone online judging or mocking people’s style or furniture or fabric choices, I just want to cringe. Are we not all allowed to find our own beauty in what we see and what we have? We don’t always know each other’s stories. We don’t know the struggles some go through, the things we must work around or deal with, or priorities and limitations we might have in life. We do not all have to have the exact same taste or the same process or way of creating beauty. Most of us have to live with imperfections and less than ideal circumstances. Our home should be beautiful because of what it represents, not because of what we have or know about design. When I see what beauty this woman created out of her circumstances, I am in awe. Now, I must say that she truly does have a beautiful style that many people LOVE and admire, including me (I am the queen of loving sooo many different styles!)! But whether any one loves her style or not is beside the point. Whether the world looks at her room and gives her a thousand “thumbs up” isn’t what counts. What matters is that she finds happiness and peace in finding beauty where she is, right now, with what she has. I love her courage to be herself. We all deserve to have courage and confidence to find our own style. Please visit Donna at Funky Junk Interiors and tell her I sent you! You’ll be inspired. Her heartfelt series begins here. Share in the comments or with a link. Please, please only put links directly to an Inspired By post, not your home page. And I so appreciate the courtesy of you linking back here from your post! It is blogland courtesy! If you have a great photo in your post, link it up! If you don’t (not all links are photo driven), maybe link the image to your blog button instead. Use the short description to tell people what the post is about so they will know what they will find. “Kitchen Makeover” or “Blueberry Pie”. And if your title isn’t necessarily that intriguing until you read about it (Bob’s surgery, lol), you can link to your blog name instead. “The Inspired Room”. Oh I love Donna! 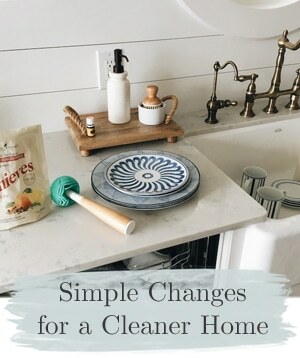 Her blog is one of my faves! Thanks for sharing her and hosting! I too was very inspired by reading Donna’s story. She’s a lady with a lot of talent and I am so grateful she shared this with us all. I know she will continue to inspire me as I am sure she will do for others as well. .-= Anita @ GoingALittleCoastal´s last blog ..What A Pain In The Neck =-. As much as I LOVED that little white shed you posted weeks back. (which actually motivated me to paint mine.) 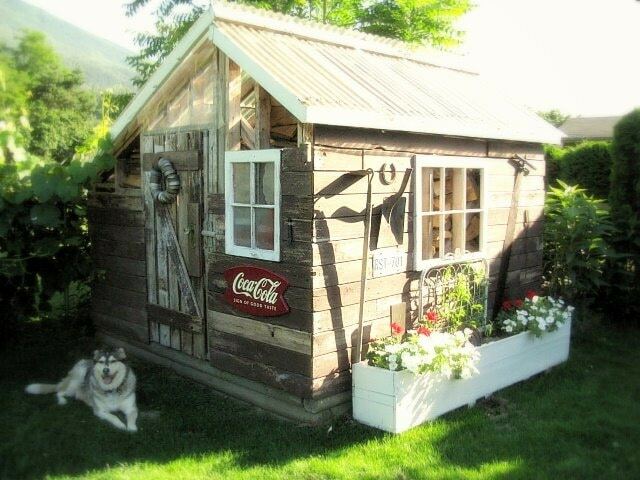 The cola shed is equally as awesome. What can I say, I am a contradiction. .-= cathy´s last blog ..Before You Do- Ask Yourself Is It Worth the Calories =-. Ha, me too Cathy! Me too. That is the beauty of creativity though. We are allowed to find MANY things beautiful. I always wonder when people only like one look….HOW can you narrow down the options to just ONE? lol! I want to see your shed! what great thoughts! it is so true that we need to be brave enough to let our own styles and designs shine. sometimes we are afraid to do out of the norm, out of the trend. but all the designs i love and admire of others are those that are different and unique. great post! I totally agree Melissa! There are so many different styles and that is what makes life interesting. I love Donna’s creativity too! I am amazed at what she comes up with! .-= Pam @ diy Design Fanatic´s last blog ..Thoughts On Design and Building Things and An Amazing Woman =-. Oh my. Melissa! I just saw this on my blogroll. I’m in awe. Totally. Thank-you so much for featuring my story! It’s my sincere hope that it helps those in need. .-= Funky Junk Interiors´s last blog ..Summer Changes – Part 3- The Reason =-. I love Donna’s blog and her style is amazing, one of a kind and inspirational. I love being able to admire other beautiful homes that are so different from mine, but still love mine and feel comfortable and relaxed where I am. .-= Leanne´s last blog ..Peek Through Last Week June 20-26 =-. .-= janmary, n ireland´s last blog ..Schools Nearly Out for Summer =-. I love Donna! Her creations always force me to think beyond what I have to what it could be. And she is such an inspiration personally! Thanks for hosting! .-= Jess @ Frugal with a Flourish´s last blog ..Backyard Party Spaces =-. Thanks Melissa for introducing us to Donna’s blog! Really inspiring. As always, thanks for hosting this party and have a great weekend! 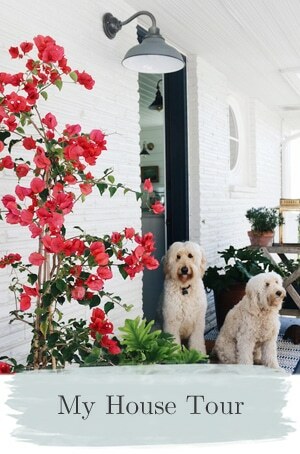 .-= Kifus´s last blog ..Colourful Summer House =-. Thank you for the linking parties. It is so generous and kind of you to help out new bloggers such as myself!! I started The Luxurious Life, partially for the reason of helping people to realize their own design sensibility and to embrace and love their surroundings. Being a designer, I so often see people struggling to create a home to impress others or trying to “borrow “somebody else’s style; a house is not a home until it is filled with what you love and enjoy being around. As a designer, I consider my job to help people create a home that reflects them; I am not there to tell them what furniture or items they can or can not live with, I am there to take the things that mean something to them and help them make what they love more beautiful. We should always remember to “impress ourselves”, with our interiors and no one else!!! .-= LuxuriousLife´s last blog ..Weekend- here we come- =-. Great advice! I do admire Donna and her unique style. In my younger less secure days, I let others influence my decisions. As we grow older it becomes more clear that we must not live to meet the approval of others, but to live in a way that works for us individually. .-= Rene´s last blog ..Erica LeBlanc Design =-. I need to make a copy of this post and put it in my living room…. so when people say things like…. why didn’t you….. you should of……or that’s interesting…I don’t have to fall all over myself to explain my design decision’s. thanks for fabulous word of wisdom. .-= teresa´s last blog ..Best of Bliss- =-. You said it so clearly and that’s why I keep coming back to your blog. Thanks. .-= Annelise Wilcox´s last blog ..A Little Girls Modest Party With Big Smiles =-. 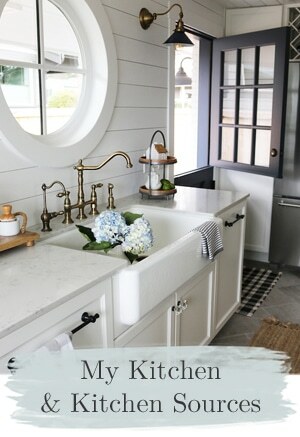 .-= Julia @ Hooked on Houses´s last blog ..“Pure Individual Style-” A Decorating Myth =-. Love that funky junk blog! Thanks for hosting! .-= shelly @ familyblt´s last blog ..A challenge- 30 day Journal =-. LOVE that shed makeover! Thanks for hosting the party. .-= Lori S.´s last blog ..Hoo Are You Tuesday =-. You always keep me inspired! Thanks girl! .-= Aimee´s last blog ..Sneak Peaks and Some Ramblings =-. I too was inspired this week by Donna at Funky Junk. I just love what she can do with something that looks like junk! She’s amazing — as are you, thanks for sharing! So happy to know you! .-= Cindy Adkins´s last blog .. =-. Oh.. my.. Oh my!! there are truck loads of inspirations waiting for me here.. I’ve added my little blog as well… This is awesome!! Thanks! .-= Patricia Torres´s last blog ..Weekend bliss =-. What a wonderful post – I just included the link on my blog to share the story. Thank you for sharing and have a fabulous fourth! .-= Renee´s last blog ..Have A Happy 4th of July- =-. That was a wood shed?? Wow. NICE. Off to read her page. .-= muralimanohar´s last blog ..Plastic fantastic =-. Really appreciated this post! I enjoy reading decorating blogs, but sometimes people do critique other’s decorating styles. Outdated, too neutral (someone said this in a comment on my blog), etc., etc. I really love my home exactly the way it is, and it can be hurtful when some other people think there is something wrong with it. .-= Jessica´s last blog ..A Few Christmas-Winter Touches In Our House – =-. Thanks for this post! I enjoy your blog and thanks also for hosting the party! .-= Donna´s last blog ..There’s Just Something About a Porch and a Flag- =-. 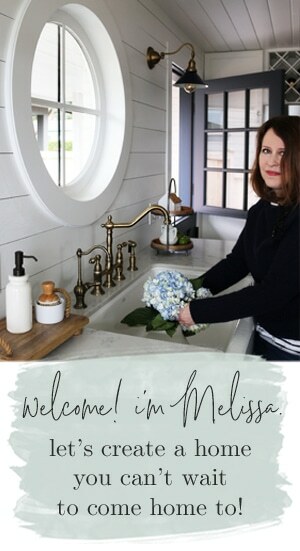 Hello Melissa — thanks for hosting this linky party. I so enjoyed reading about Donna, and visiting her blog; thanks for “introducing” us. I was stunned to discover that people actually decorated according to what was “in.” It had never occurred to me that people did that! How ridiculous! I am discouraged when I pick up a decorating magazine, and find room after room of similar looks; so sad. Please keep banging the gong for individualism! .-= Cass at That Old House´s last blog ..Summer Inspirations =-. It’s my first linky party, and it’s fun! I read Donna’s story, and it is so inspiring! I think she is really brave, and I love her ‘different’ style of decorating. .-= sharon´s last blog ..Decor idea-Make a lovely wall border with tiles =-. Great link up and post! Very inspiring, indeed. I wish I had time to link up but I am not spontaneous with my posts and have a hard time pulling together link up post with themed assignments. Maybe one of these days I’ll get it together to join in the fun. .-= Michelle´s last blog ..Have you heard about =-. I love decorating from finds and pulling recycled things together. We have ‘chuck out’ here where we find things on the side of the road that people don’t need anymore. I have lots of furniture from finding it by the side of the road. I love her style and her blog. And I have to say that I’ve worked with her as an advertiser and she’s as warm and wonderful “behind the scenes” as she is in public on her blog. .-= Beki – TheRustedChain´s last blog ..Food- family- and floods =-.